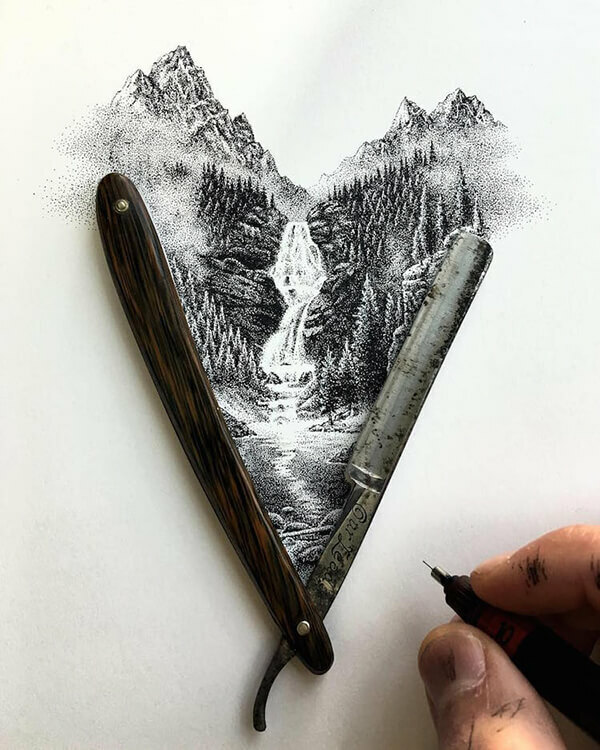 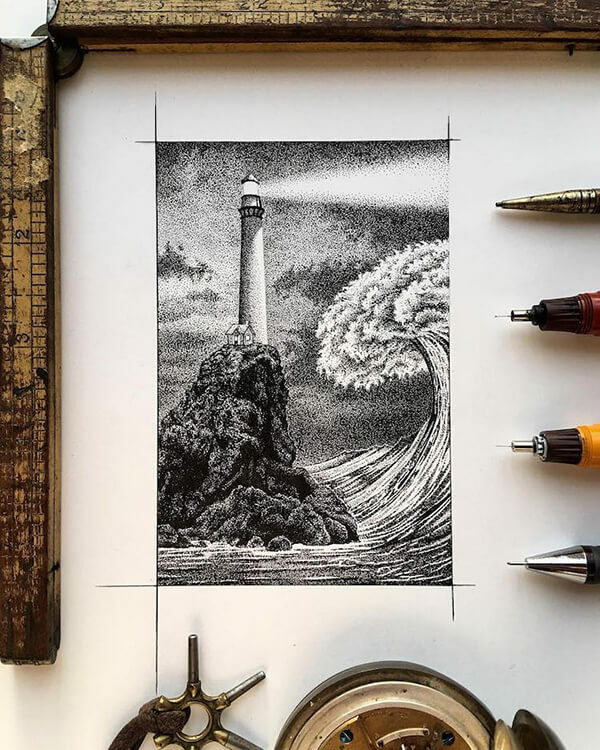 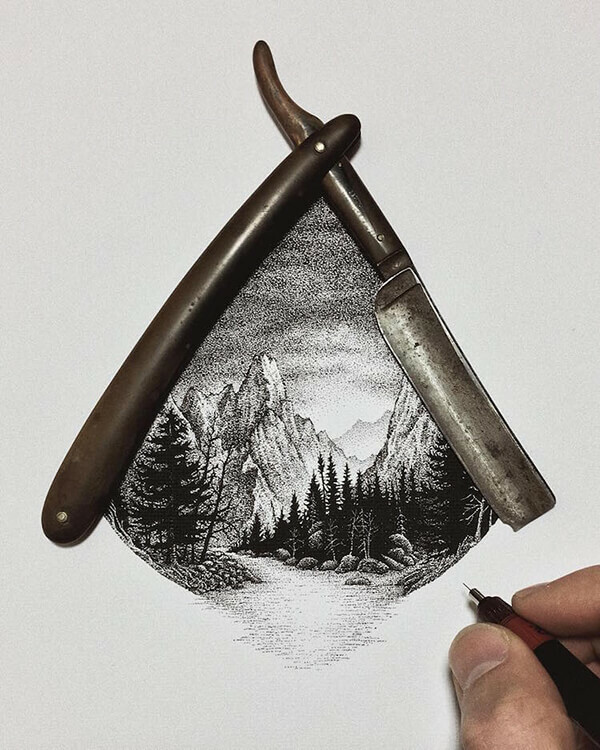 Salt Lake City based pointillism artist Nicholas Baker, creates incredible, nature-inspired stippling art that is composed of millions of tiny hand-drawn dots. 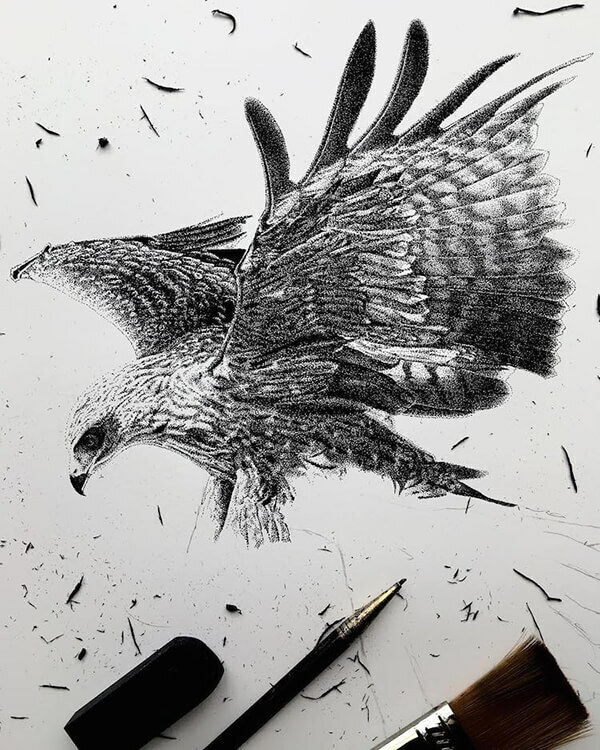 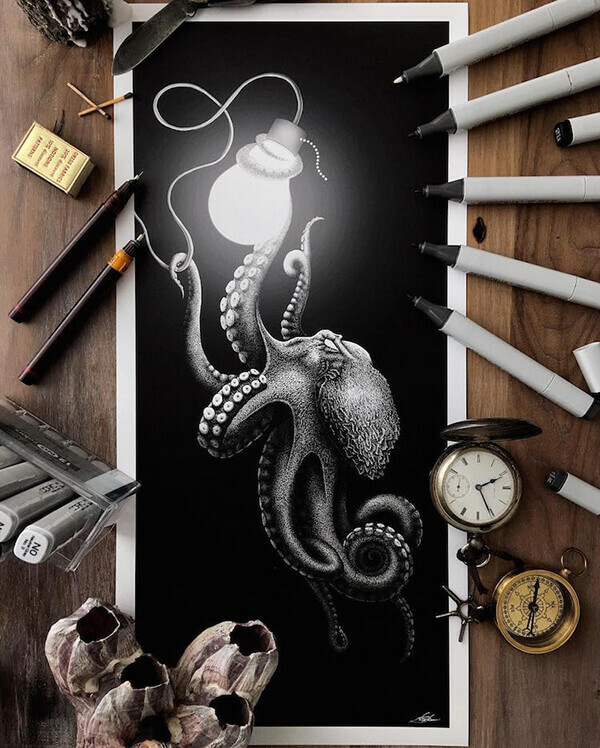 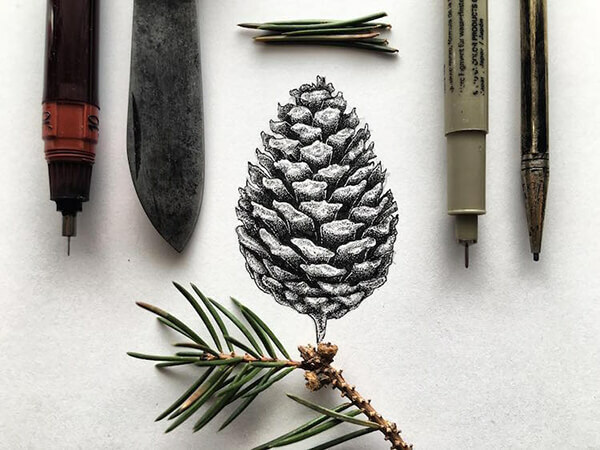 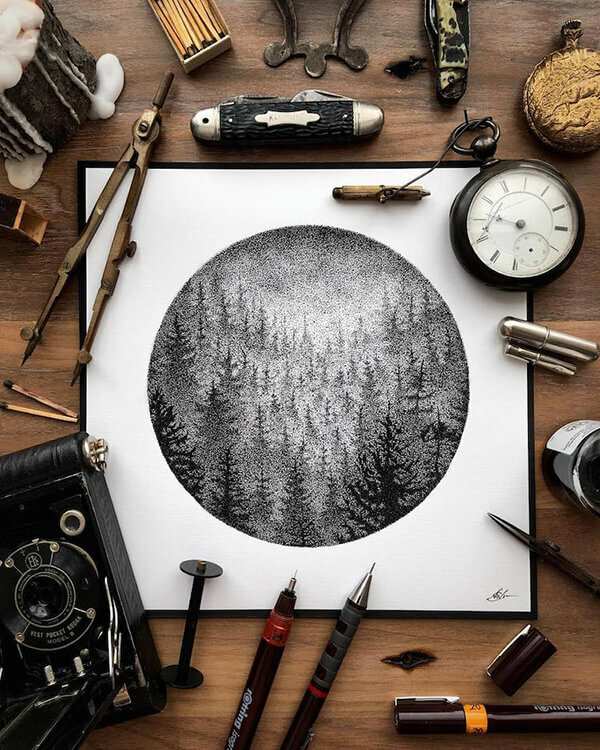 Dot by dot, Baker drew incredible detailed picture with black ink pens only. 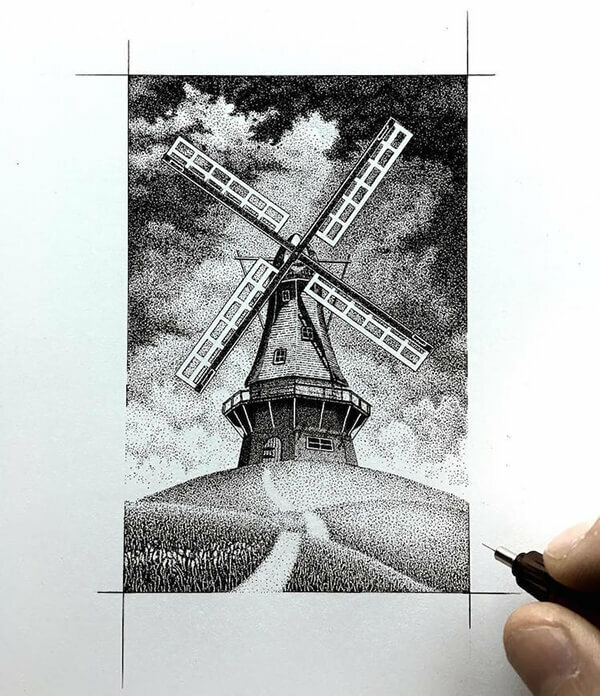 Each monochrome drawing not only has an amazing amount of detail, but also completes with perfect tones of shadow and light. 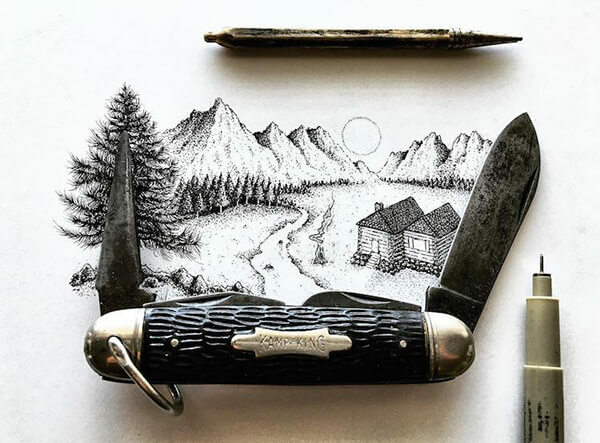 We all know it takes time to perfect a craft, however, the time needed to complete a drawing like one listed below probably still beyond your imagination. 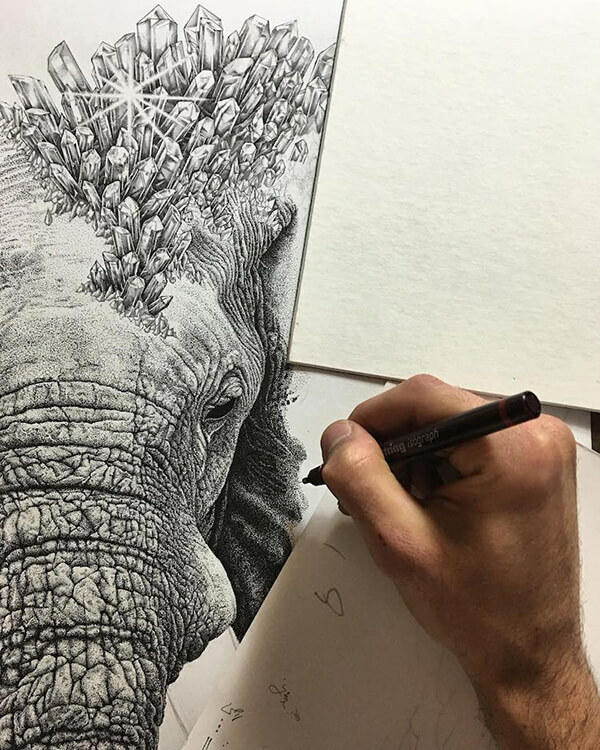 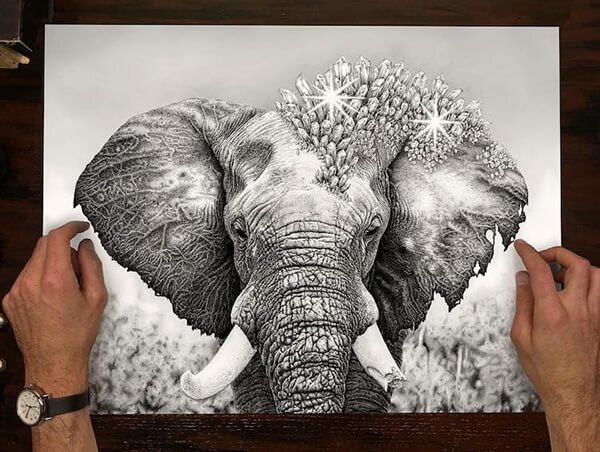 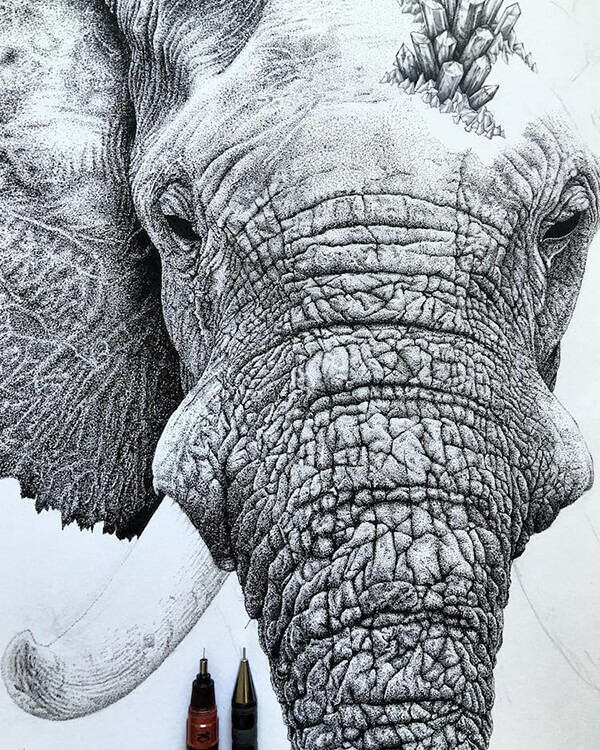 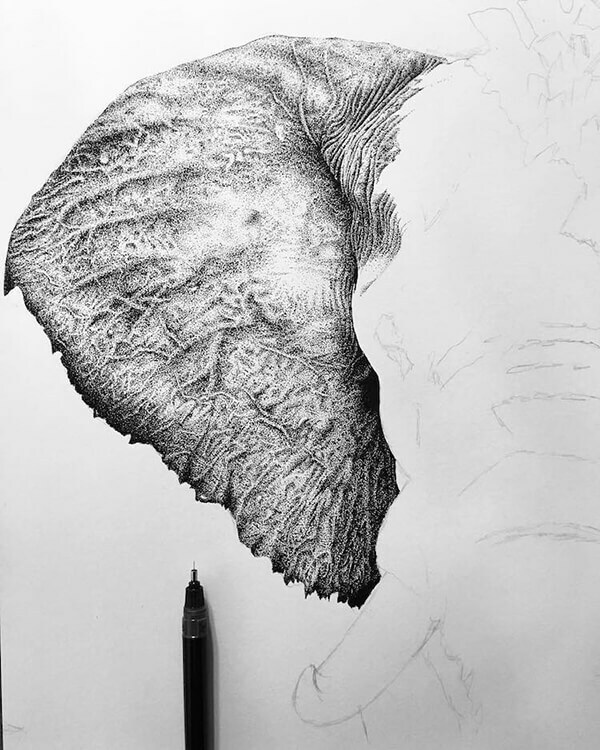 In one particular piece, Baker spent a tedious 160 hours stippling a portrait of an elephant, featuring wrinkled skin, a broken tusk, and encrusted crystal formations.